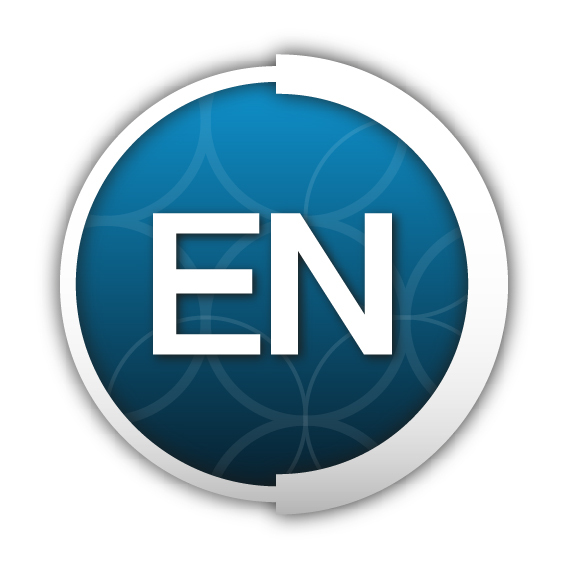 EndNote includes a powerful tool called Cite While You Write (CWYW) that allows you to manage in-text citations and generate bibliographies in APA, MLA, Chicago, and other formats. 1. Open the EndNote X8 ribbon. From the "Style" menu, select the citation format for your paper, such as APA, Chicago, or MLA. If your citation format is not shown in this list, click "Select Another Style..." to find it in the full list of available formats. 2. Place the text cursor at the point where you want to insert a citation. 3. Click the Insert Citation button. 4. 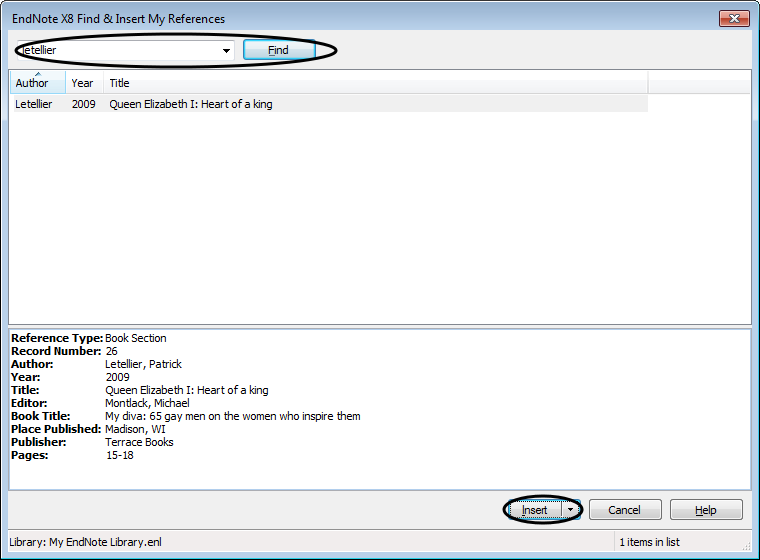 Enter a search term such as the title or author to locate the relevant source in your EndNote library. Click Find, then select the source from the list below and click Insert. 5. EndNote will place the in-text citation in the document. 6. To enter the page number for an in-text citation, click Edit & Manage Citations in the EndNote ribbon. 7. Enter the page number in the "Pages" field, then click OK.
8. EndNote will update the citation to include the page number. As soon as you add a citation to your paper using the above process, EndNote will add a bibliography (also known as a Works Cited or References page) to the end of your document. While EndNote manages the citations in the bibliography, as well as hanging indents, it is your responsibility to ensure the formatting of the page, such as margins, header, and line spacing, is correct. If you remove citations from your paper, you may need to update the bibliography to remove them. To do so, click Update Citations and Bibliography in the EndNote ribbon. Before finalizing your paper, ensure that your citations follow the capitalization rules for your citation style, as EndNote will not automatically change capitalization.